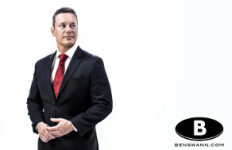 The two-time Emmy Award winning investigative reporter, Ben Swann will speak reality on Flow of Wisdom Radio this Sunday (on demand) January 12, 2014 beginning at 3pm EST. Listen in on a discussion about today’s current events, main stream media as well as his personal endeavors. XIX and there I became the producer/writer/anchor of a segment called “Reality Check”. It was while covering the 2012 Republican Presidential primary that I began to confront the problems in the American electoral process, the stranglehold of America’s two party system and the suppression of voters’ choices by mainstream media. To call in and get interactive 1-877-300-7645. Flow Of Wisdom Radio with Sean Anthony is a syndicated, ground-breaking talk show with insightful interviews, controversial guests, and a platform for alternative news, current national and global affairs. Flow Of Wisdom Radio is a source for alternative news and information delivered in an unconventional way that brings the understanding to some of the worlds controversial conspiracies. The show not only appeals to an audience that seeks liberty and freedom, but to a generation of youth and celebrities in popular culture.